In our practice we rely on a competent team and the latest technology. To keep your teeth healthy for a lifetime, we offer a wide range of treatments in dentistry. On this website you can get to know us and view comprehensive information. 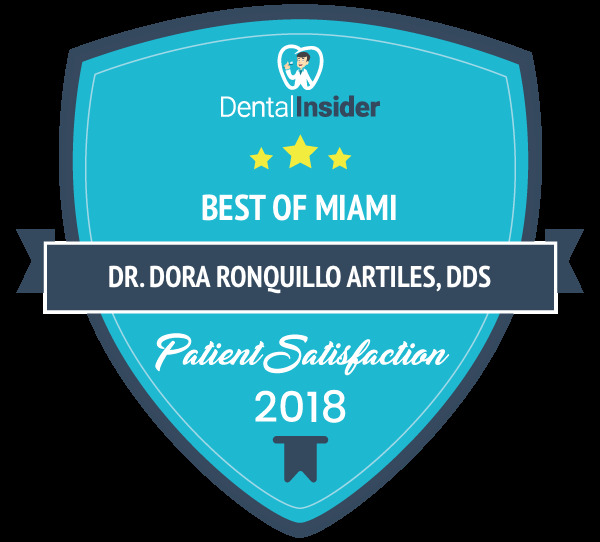 Dr. Dora R. Artiles provides a wide range of personalized dental procedures at an affordable price which includes, implants, root canals, orthodontics, veneers and dentures, as well as pediatric dentistry, all at the same place. Top-of-the-line technology, regular training and a constant update of the latest developments in dental research, guarantees our success in the treatment of your oral health within a relaxed and friendly atmosphere. that gradually straighten your teeth as you wear them. ClearCorrect can help you get the smile you've always wanted! Art Dental Clinic serving the Three Lakes and West Kendall area is the dental office that confidently and reliably takes care of cosmetic dentistry, oral health, preventative and restorative treatments, which includes: crowns, root canals, veneers, dental implants, smile design, partial and total dentures, dental bridges, teeth whitening and more, for your convenience, all at the same place. Dr. Dora R. Artiles DDS, with over 25 years of experience at your service. Voted 2015’s best Dentist in Miami for Dentistry treatment and services as reviewed by patients. Snap-ON-Smile the non inasive solution that can give you an instant beautiful smile.